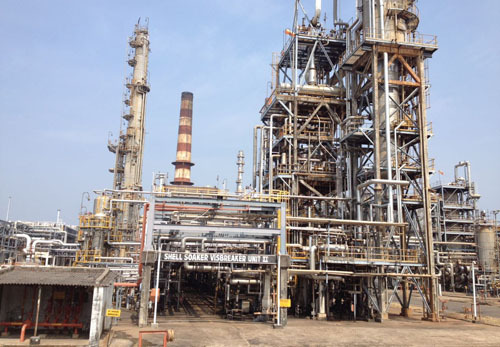 The Hydrocracker Units produce high quality Sulphur free Diesel and ATF. 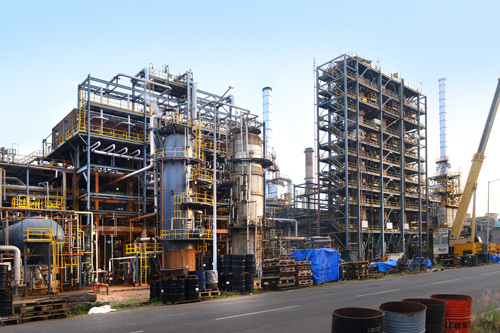 The Plant is designed for 100 percent conversion of low value Vacuum Gas Oils to lighter, low Sulphur valuable products. 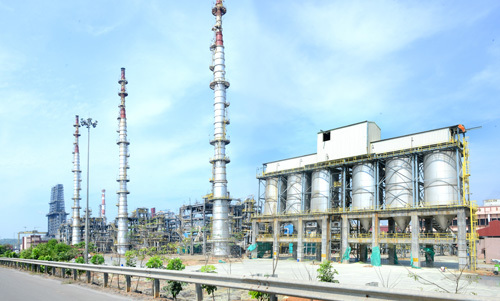 The Continuous Catalytic Regeneration Platforming Unit (CCR), a State-of-the-Art Unit, produces Lead free, high Octane Motor Spirit (Petrol). Hydrogen produced as a by-product is used in the Hydrocracker Unit. The other by-product is LPG. LPG Merox Unit reduces the Sulphur content in LPG. The kerosene Merox Unit converts mercaptans to disulphide. 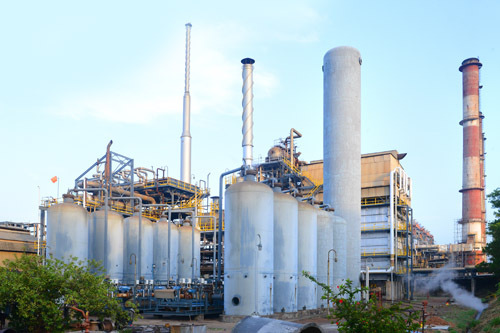 The Hydrogen Plants, produces Hydrogen by Steam Reforming of Naphtha. Hydrogen purity of 99.9 percent is achieved through the UOP Pressure Swing Adsorption (PSA) Unit. The design capacity of the plant is 70KTPA(97,293NM3/hr) of hydrogen. It has a prereformer and it is also designed for naturalgas as a feed stock. High purity hydrogen is produced by UOP pressure swing adsorption technology. Naphtha and FG can be used as fuel for the reformer. The reformer has total 360 burnerswith side firing. 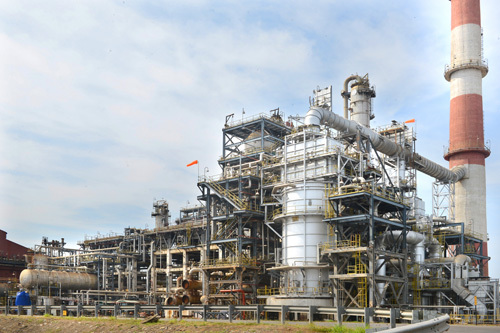 A separate Refinery off gas PSA installed within hydrogen plant will treat off gas from DHDT and CHT unit which recovers hydrogen and fuel gas. 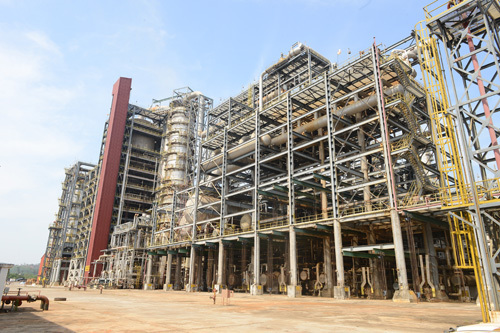 The fuel gas is exported to refinery fuel gas header. This Unit employs the highly efficient Biturox process given by M/s Porner, Austria to produce various grades of asphalt. It is designed to process vacuum residue from the upstream vacuum distillation unit. The process , Licensed from M/s Lummus Technology thermally cracks and upgrades heavy fractions into more valuable distillate products and premium grade coke. 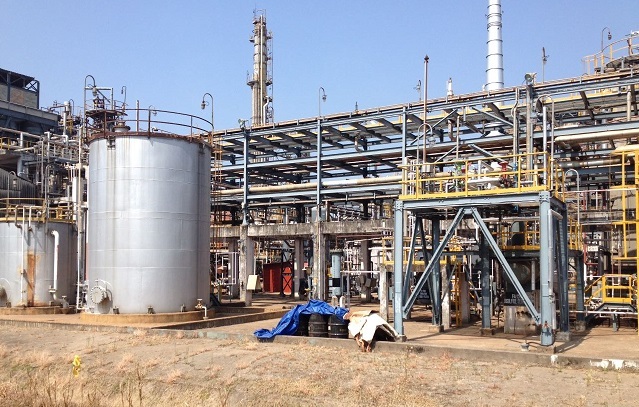 The PFCC unit processes unconverted oil from hydrocracker units, straight run low sulphur vacuum gas oil, hydrotreated heavy coker gas oil and converts into value added products such as propylene, LPG and gasoline. 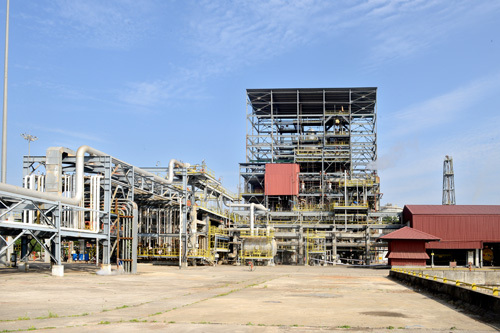 Coker heavy gas oil hydrotreating unit processes coker heavy gas oil generated by delayed coker unit. Polypropylene, sold under the brand name Mangpol, is manufactured with a technology licensed from M/s LummusNovolen Technology,Germany. It is designed to process straight run and cracked feed stock. 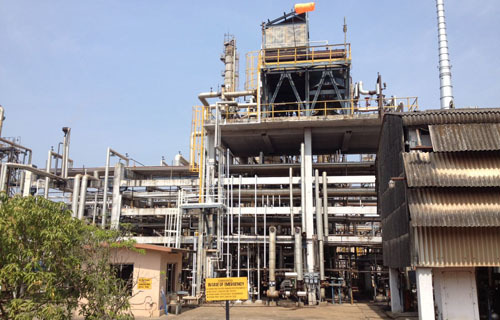 It is capable of producing BS VI grade diesel with improved cetane number.It is also designed to process naphtha and kerosene as part of its feed. Kerosene and naphtha are also drawn as products. There are six trains with dedicated (TGT) Tail Gas Treating section to enhance the sulphur recovery. 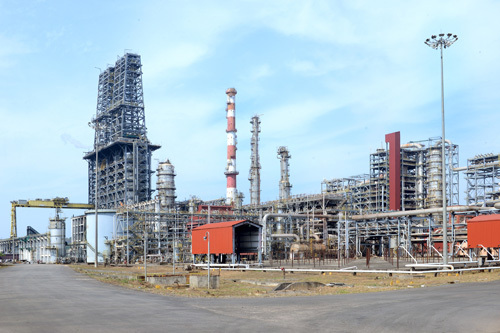 Coastal Movement of petroleum at MRPL is handled through the New Mangalore Port trust. Pipelines running from Refinery to the Port transport crude and products. In addition, MRPL operates a Single Point Mooring system, named Mangala-1, located nearly 17 Kilometers off Mangalore Coast. Mangala-1 with a draft of 32M can handle fully laden Very Large Crude Carriers ( VLCC) carrying a cargo of 300,000T. With a view to reduce transportation cost of evacuation, a cross country pipeline between Mangalore and Bangalore became a necessity. 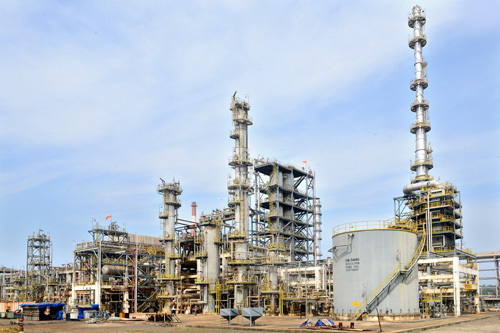 Accordingly Petronet MHB Limited was formed to implement the project and operate this Cross-Country pipeline. 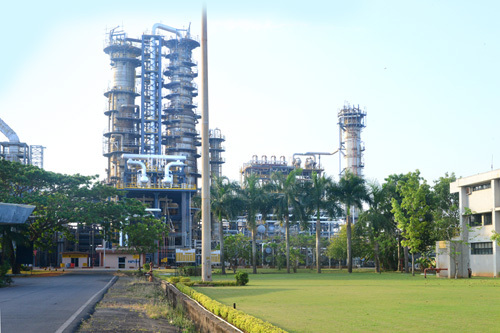 ONGC holds a 23% equity holding in this pipeline. 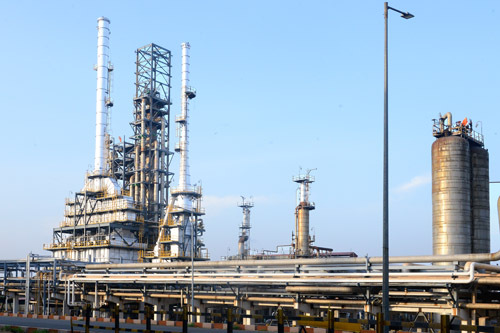 The pipeline, anput 363 Kilometers long originates from the refinery and delivers products to Devangonti near Bangalore with an intermediate receipt station at Hassan and two intermediate pumping stations at Hassan and Neriya. Oil Jetty to receive Crude Oil and dispatch Petroleum products by ocean tankers. Raw Water line, 43 kms long from river Netravathi. Blast proof centralized Control Room. DCS based Control Room for all Process Units and offsites. 137 Storage Tanks including 7 Horton Spheres and 6 Bullet Tanks.